Sometimes, do you have a few slices of Grilled Chicken remaining after dinner? Do you have a Green Pepper & a small Zucchini just waiting in the fridge? If the answer is Yes, Flatbread Pizza might be in your future! This summer whenever we have leftover Grilled Chicken I know we'll be having this for dinner in the next 2 days! In April I shared how yummy BBQ Pork Tenderloin Flatbreads with Roasted Asparagus are. Roasted Asparagus & fresh Spinach were placed on top along with chunks of BBQed Pork Tenderloin. 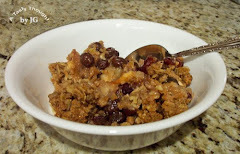 What a quick, easy & yummy dinner! The packages of Flatbread that I use have baking directions on the package. I make 3 White Flatbreads. ***Roasting Veggies: Rinse veggies under cold running water, pat dry & cut into slices or chunks. After coating with baking & sauteing Olive Oil, Garlic Powder, Basil & Oregano, they are roasted in a 450°F oven for 15 minutes. Then it's time to start making the Flatbreads! ***Roasted Green Pepper strips & Roasted Zucchini slices. 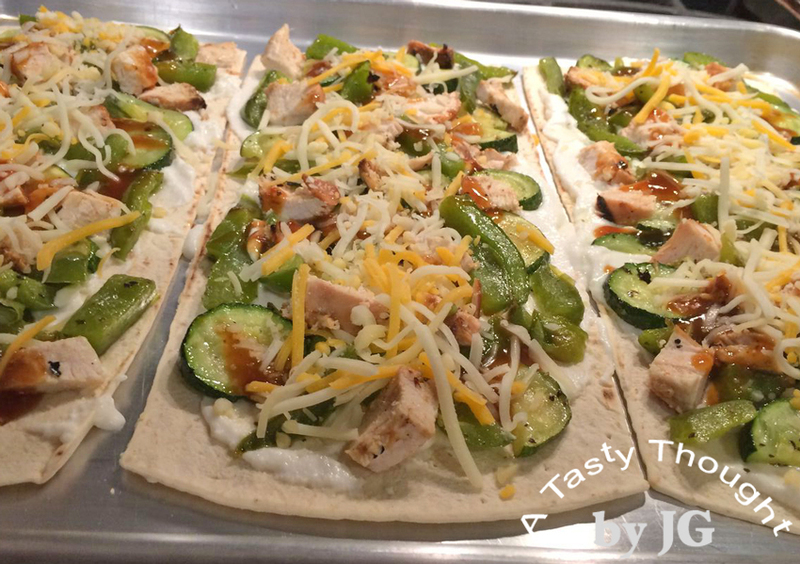 Place Roasted Green Pepper strips & Roasted Zucchini slices on each Flatbread. Add Grilled Chicken, that's cut in chunks. In a small cup combine 1 teaspoon cold water & 4 teaspoons BBQ Sauce. Mix well. Drizzle BBQ sauce mixture over the 3 Flatbreads. Remove from cookie pan & cut each Flatbread into 3- 4 pieces. Any extra slices are refrigerated for the next day's lunch! These are so good & not full of dough! 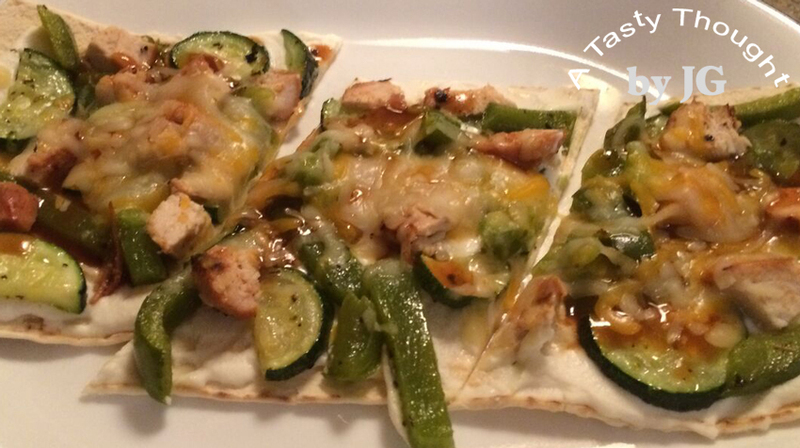 Just topped with chunks of Grilled Chicken & Roasted Veggies! With all of the local fresh produce at our roadside stands, fresh veggies are now in season! The local peach crop is in this year! That was just great news for me & my annual preparation of Peach Freezer Jam! There are 9 containers of this yummy jam sitting on our dining room table as I am typing this. One batch yields 9 one cup containers + a small custard cup filled with the remainder (covered with foil). On Friday the local peaches were purchased. The needed amount for preparing the jam was placed in paper lunch bags to ripen. They sat (closed) on the counter for 2 days. Yesterday, the ripened peaches went into the fridge. 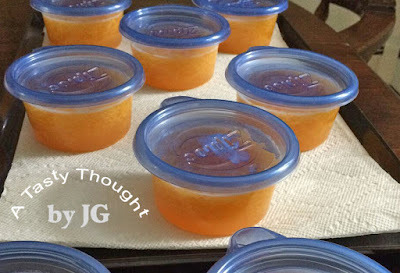 Today is Peach Freezer Jam Day for me! The process is always the same. 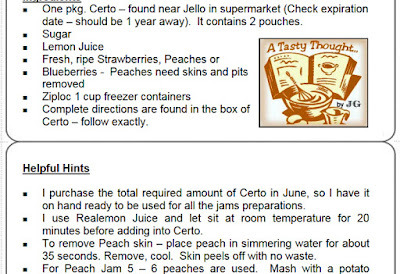 I use Certo liquid pectin. 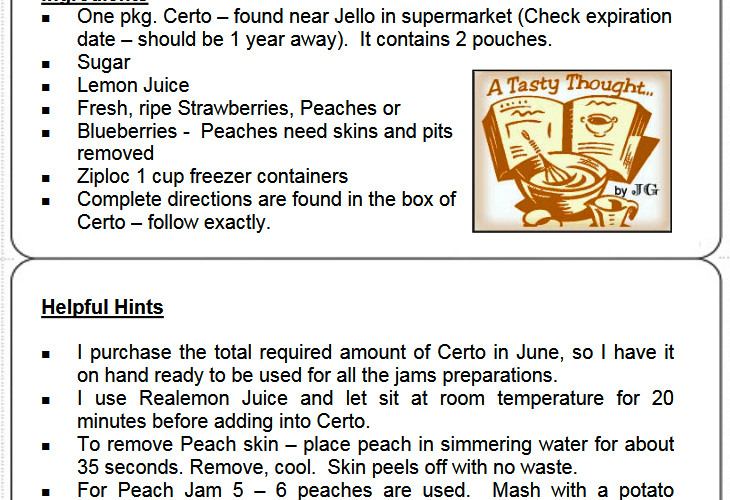 The directions are found in each box of Certo. I always read over my own Helpful Hints, too! I make only one batch. However, if you will be preparing 2 batches, make each batch separately. To start, rinse the fruit under cold running water. Use clean utensils. Freezer Jams are just the best! We will enjoy them again this year!